Bill & Ted, as shocked as we are. The adventures of Bill S. Preston and Theodore Logan might not be continuing after all, in some of the least radical news we’ve gotten in a while. Just a couple months ago, word was that a third Bill & Ted movie, Bill & Ted Face the Music, was a sure thing, with the main cast ready to reprise their roles as older-but-not-wiser heroes. Now, star Keanu Reeves isn’t so sure. Friends, this is not triumphant news. I am officially bummed. Please, someone, let Keanu make his movie. He deserves it. And if we’re going to ask him to make a million more John Wick movies, we should at least let him have this. 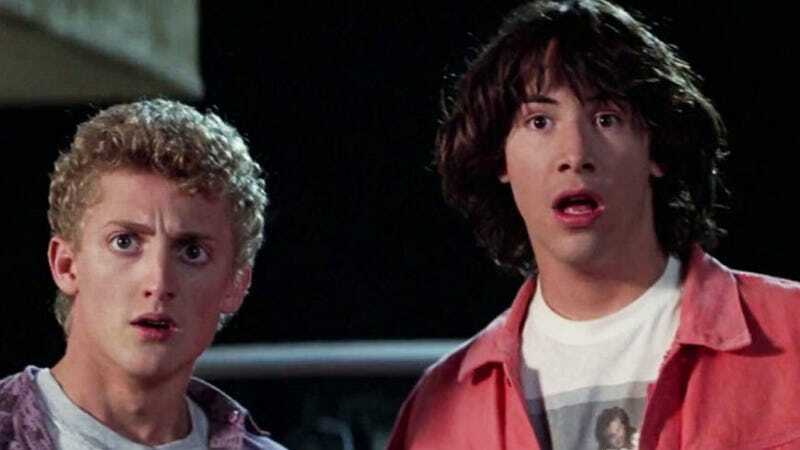 Bill & Ted 3 gets the Galaxy Quest director! Wyld Stallyns will ride again! Bill & Ted 3&apos;s script is finished!